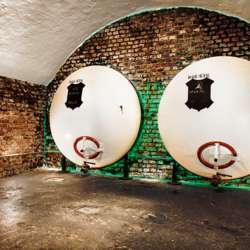 Bochum's Protected content offers a tour of the brewery where an expert will guide us to experience it with all our senses: see, feel, smell, taste.. Many different kinds of Fiege beers will be introduced, including the ones we are not familiar with. While walking through the brewery, we even get to tap our own beer, and each step to successful brewing is explained, from the very first step to the last when the top is ready to 'pop'! Please come in comfortable shoes! We will be walking up and down many stairs, sometimes through cold and partly impassible storage cellars. The Friday tours are SO popular that it is always fully booked Protected content in advance. For this reason, I have bought all the tickets already. After you sign up and make your payment, I will then send you your ticket via Email. How to make your payment will be written in my private message to you after you sign up. **If you have already paid but do not show up at the event, your ticket will not be refundable. **If you have already purchased your ticket but suddenly cannot join, your ticket will be reimbursed as long as you let us know by March 19. On the day of the tour, you can use your entrance ticket for free public transportation (Buses and Bahn: BOGESTRA / VRR) for going to + coming from the Protected content . Please print out your ticket beforehand. There is no parking on-site. You will have to look around on your own, but it may be difficult since it is so near the city. It is only a 7-minute walk away from the Bochum Hbf, so we strongly suggest that you come with public transportation!